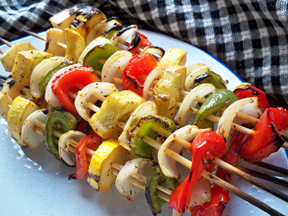 Simple kabobs to make up for any of your special gatherings. 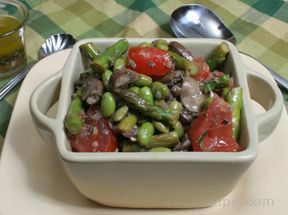 They make a nice appetizer to serve with cocktails or before a meal as you guests arrive and wait for dinner to be served. Cook tortellini according to package directions. Drain and rinse with cold water to stop cooking process. Place the tortellini, cauliflower, broccoli, and olives into a sealable bag; pour in enough dressing so that everything gets well coated. Seal the bag tightly and turn to coat all ingredients evenly. Place in the refrigerator for at least 4 hours. They can be refrigerated overnight if desired. Turn the bag once in a while during the marinating time. 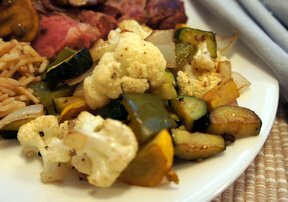 Remove the bag from the refrigerator and pour off the excess dressing. 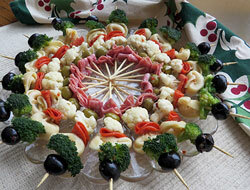 Make up kabobs by adding a folded slice of hard salami, green olive, cauliflower, folded slice of pepperoni, tortellini, broccoli, and black olive to the skewer. Place on a platter and continue to make up kabobs until all ingredients are used. "I made these for a wedding shower last weekend and they were great. It was like having a pasta salad on a stick. I am going to make the again for a New Year's Eve party that we are going to this year."